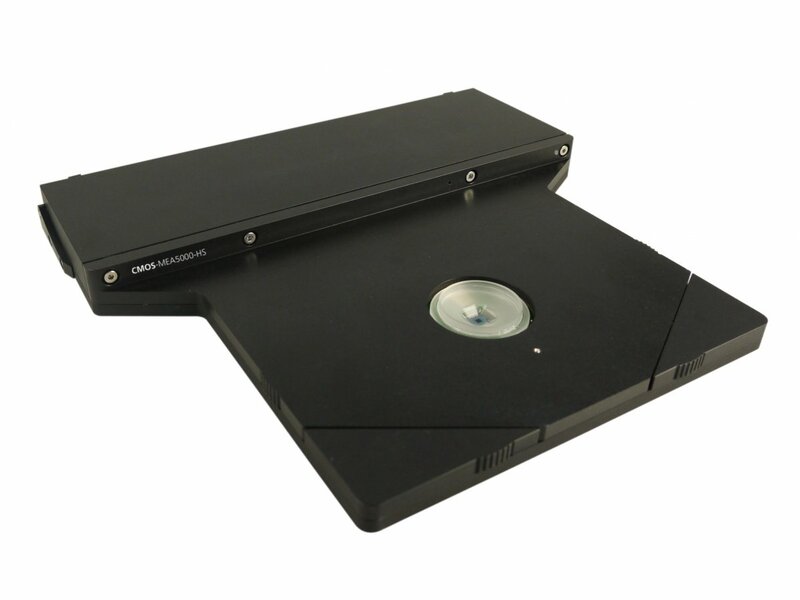 The CMOS-MEA 5000 System is the in vitro recording system from Multi Channel Systems for extracellular recordings and stimulation at the highest resolution. 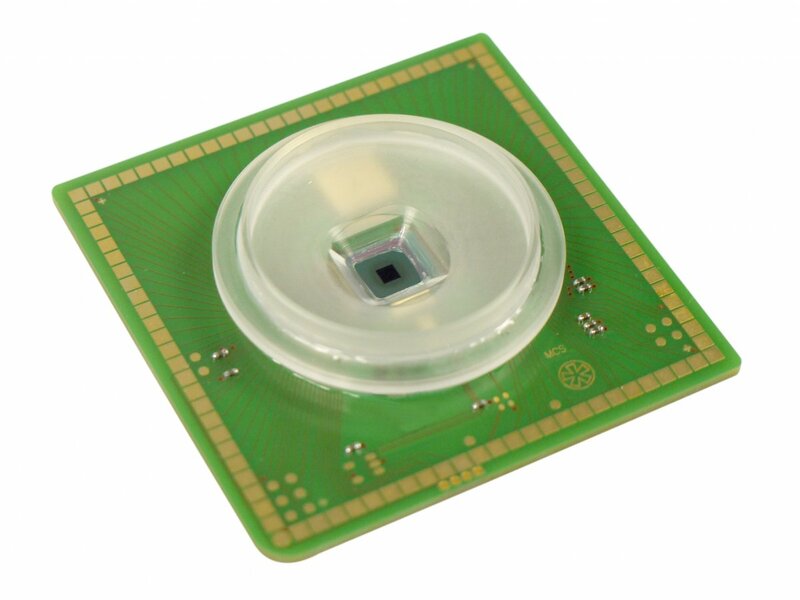 With more than 4000 recording sites, each of them sampled at 25 kHz, the chip allows extracelullar recordings at a very high spatio-temporal resolution. By including amplification on the chip itself, noise is minimized and a high signal quality is guaranteed. 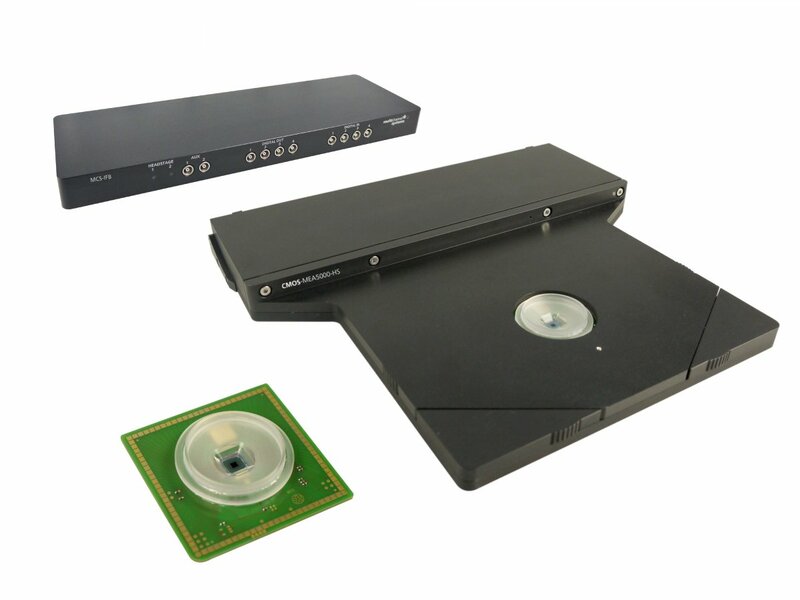 The CMOS MEA 5000 System consists of four components, which are all designed to be efficient and powerful, while fitting ideally on the lab bench and microscopes. The recording sites are arranged in a 65×65 grid and have a 16µm or 32µm interelectrode distance (center to center). Between the recording electrodes, there is a grid of 32×32 bigger stimulation sites. 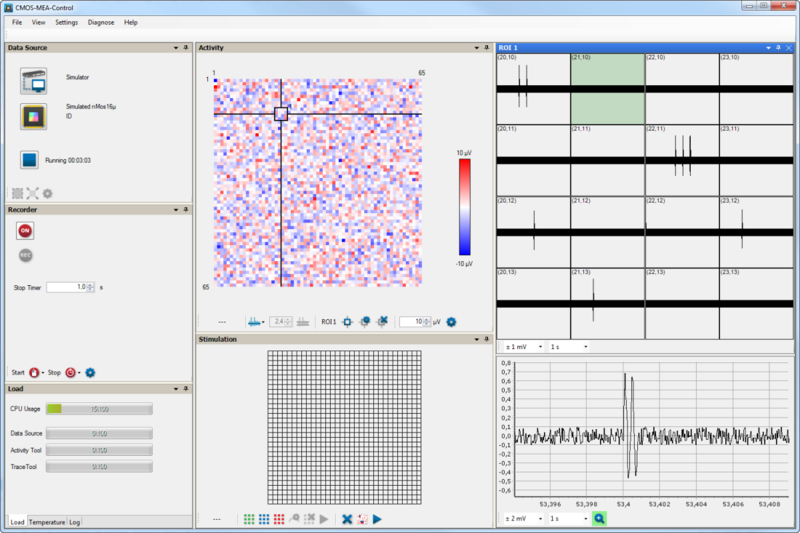 Summarizing, you can record from 4225 electrodes and stimulate your sample at 1024 sites. The interface board offers the USB 3.0 interface to transfer the recorded data to a computer. Moreover, it has analog and digital in- and outputs for synchronization with other instruments. Apart from digital and analog in- and outputs, it also includes a digital signal processor, which is freely programmable for real-time feedback and closed-loop experiments. The CMOS MEA 5000 System is controlled and its data recorded by the software package CMOS-MEA-Control.